On June 4th, 1923 a horse called "Sweet Kiss" won a steeplechase horse racing event at Belmont Park on Long Island, New York......and that horse was being ridden by a dead man! The jockey, Frank Hayes, died during the race, but incredibly stayed on the saddle. 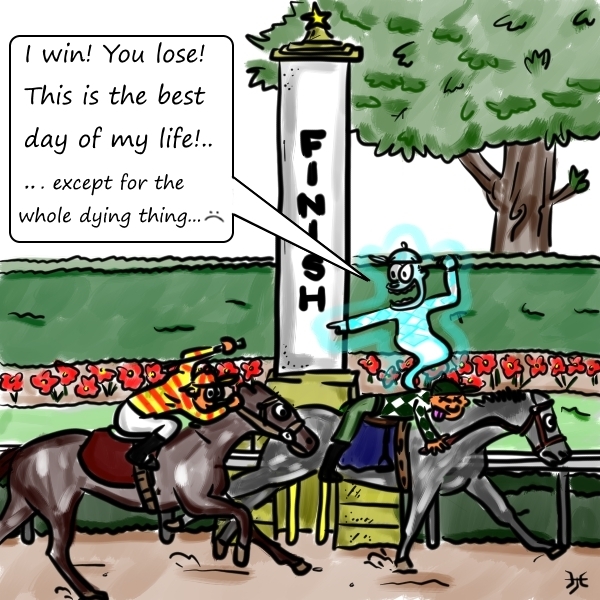 To this day he is the only dead jockey to ever win a race!